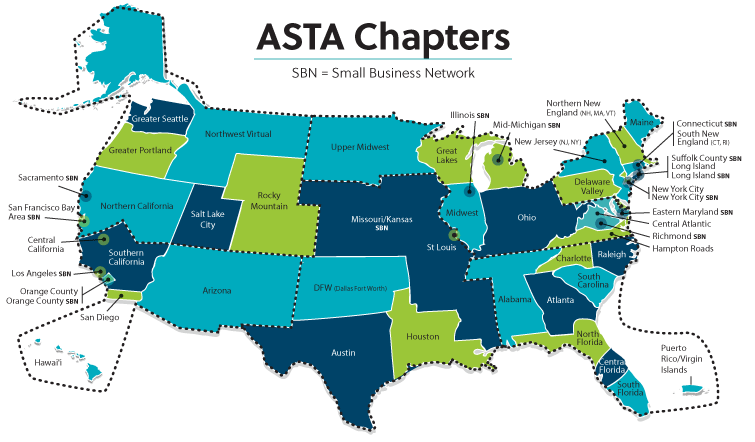 To view upcoming chapter events near you, visit our ASTA Industry Calendar. Chapters with hyperlinks have individual chapter websites. Find our chapters on social media. ASTA is proud to be represented in over 120 countries worldwide. See the list of our International Chapters.